Frittata’s are one of those recipes that really doesn’t have to be a recipe – primarily because you can make a frittata with nearly anything in your refrigerator . . . including little bits of leftovers. Whip up a few eggs, add some milk or cream, salt, pepper and then let your imagination run wild; I usually shoot for some kind of green like broccoli, kale, or swiss chard and then go from there. Fingerling or other type of small potatoes, mushrooms, squash or green onions are always a hit and a variety of cheeses will work as well. And if you simply cannot do without meat, add some bacon lardons, ham or sausage crumbles – proscuitto works too. Frittatas are super quick, no pie crust to mess with and can be served at room temperature – a plus during the summer months when you don’t want to turn your oven on during the day. Just cook the night before and refrigerate; the next day, set on the counter and let come to room temp – toss a little salad and you have a terrific lunch. 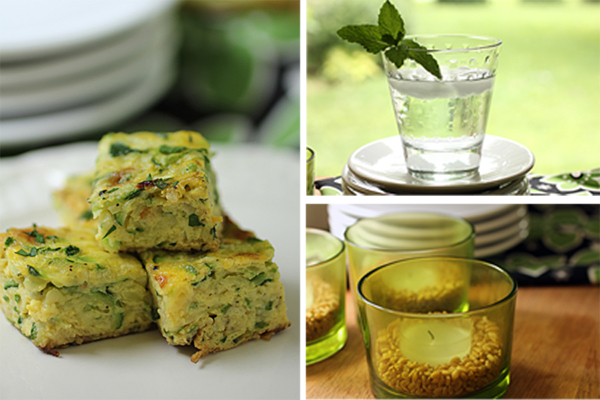 And believe it or not, simple frittatas can be elegant enough for a fancy brunch or cocktail parties – what’s not to love about that?! Grate zucchini on large holes of a box grater and drain on paper towels for about 10 minutes. FOR APPETIZERS: Cut into 1-inch pieces, garnish with parsley and serve at room temperature. SMITH BITES NOTE: If I serve this immediately, I add just a smidge of sour cream to the top – divine! This looks absolutely amazing. I love frittatas for all the same reasons, and they are great “garbage disposals” at the end of the week, too. I love frittatas, too! And yours sounds delicious! Love the combo of flavors! Debra, I love that you can simply pick this frittata up with your hands! Perfect for a brunch. Can you believe I have never made a frittata? I need to get on the ball! Because easy is for me! I think that a frittata and a salad is the ideal meal. I love the simplicity and the goodness and the fact that one can really flavor it as one pleases (or with whatever is in the fridge!). Love your oniony one! Debra – what a nice summertime nibble! Great way to use up any bits of veggies in the fridge. Now you’ve got me in the mood for a frittata, I’m going to see how many eggs I’ve got hanging around in the fridge! These would be such a hit at a party. We have friends over every weekend for bagels, and I think I’m going to make a batch of these next time. Thank you for sharing such a delightful recipe! Oh, yummy, Deb! I do love a good frittata. Fantastic for any time of day! OMG! BASIA!!! You have transported me back to my youth, my very first live concert and I am now playing it and lip synching all around my hotel room. People are looking at me with their mouths agape but I don’t care, it’s Basia!!! p.s. What ever happened to her? Delish!!! If I leave now will you have 3 ready for me to pick up? Three of my favorite things! Squash, pecorino, and frittatas! I can’t go wring with this one. Love the simplicity and versatility of this recipe. I love almost anything with eggs and as you said, they are a great way to have a quick and easy meal. This looks so delicious!! 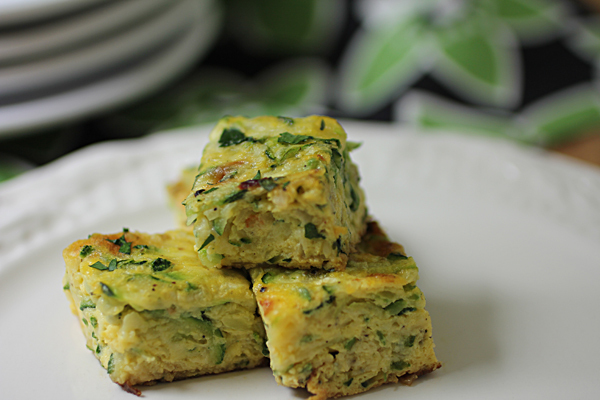 Frittatas have saved me many a night, love this! Without a doubt, my first frittata came about because I wanted to make a quiche but didn’t want to make a piecrust. Enter frittata and my backyard garden and made in Heaven ensued! 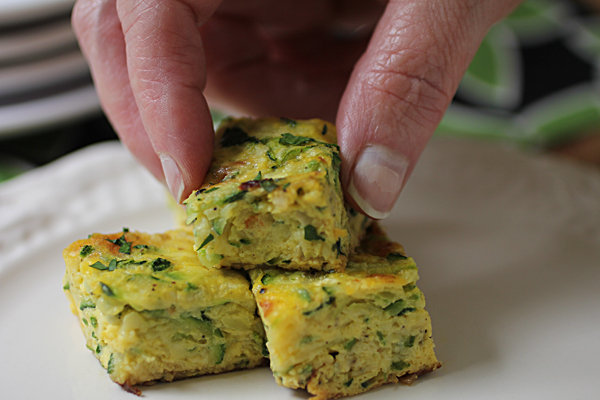 Whenever I find myself with eggs that need to be used up, I always make a frittata… it’s not only a great way to use them, but you can also throw in your favorite veggies and cheese! This one looks beautiful!